Will the next Monsters Inc. movie be a prequel? Filed to: Monsters Inc.Filed to: Monsters Inc.
Too long have we waited for the return of Monsters Inc. employees Mike Wazowski and the fluffy Sulley aka "Kitty." New details on the second movie are finally out, and it takes place at the University of Fear. French website Disney Central Plaza and Animatie are reporting that a theater catalog has this listed as the new premise for Monsters Inc. 2. Here's a rough translation from the message boards. 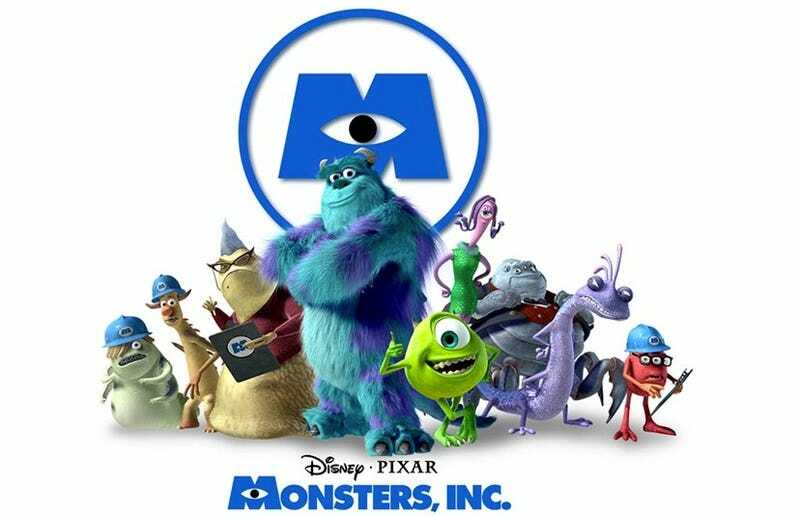 "[Monsters Inc. 2] will take us back to before a time when Mike Wazowski was top comedian, before James P. Sullivan was top scarer, even before the buddies joined the MI workforce. In fact, it takes us all the way back to school - the University of Fear to be precise. Although the two start out as frenemies, Monsters, Inc. 2 will weave the tale of how the dynamic duo transition from rivals to BFF." While we love the idea, we're taking this news with grain of salt. Pixar has been known for changing the plot to their stories over and over again — so this might very well be a Monsters Inc. 2 storyline, but it may not be the final version. But, what we do know is that Pixar has set a tentative release date for the film, which is November 16, 2012. Can't. Wait.